Bloomington is the 4th biggest Minnesota city with a population of 80,000 Hennepin County residents and several well-known Minneapolis lawyers. 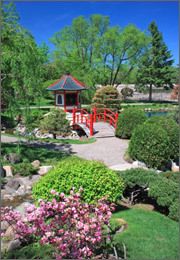 Bloomington is widely known for its park system which boasts 1,000 square park feet per capita! In addition to their parks, the southern border of Bloomington is skirted by the Minnesota Valley National Wildlife Refuge. Bloomington is largely considered a bedroom community; however, today the city has more jobs per capita than both Minneapolis and St. Paul. A number of the outstanding Bloomington citizens are also practicing lawyers who are familiar with local Hennepin County District Courts. Lawyers in Bloomington advise on a plethora of cases from divorce, bankruptcy, and wrongful termination to DUI, wrongful termination, and malpractice cases. Recently in Bloomington, the misconduct of a public officer charge was reversed for former park police Sergeant Joey Lamarr Lash. The judge panel of the Minnesota Court of Appeals stated that the charge was based in excess of his lawful authority and under the Minneapolis ordinances that the park police are governed by, Lash had not violated state law. Lash was also previously charged with seven felony counts of theft of public funds and a gross misdemeanor for public officer misconduct for his nearly $20,000 swindling of state funds. If you have an appeals case or are looking to expunge your record in Bloomington, you will probably be visiting the Hennepin County District Court. Minnesota district courts are responsible for hearing nearly all matters that arise in Bloomington except matters like immigration. Minnesota district courts are the only trial level courts with which to file in the state. It’s a good idea to consult a local lawyer who will be able to assist you with your case from filing to resolution. LegalMatch is a matching service that provides you with a selection of pre-certified lawyers for free! LegalMatch’s website also provides reference sources like an online law library, forums on many legal topics, newsletters, and tips for selecting the best lawyer for your needs. Whether you’re in search of a Bloomington lawyer or just researching your case, LegalMatch can help.